Tagged Anaerobic digestion, Biogas, biogas from food waste, Cafeteria, Codigestion, Composting, Cow Manure, EPA, Food Waste, Food Waste Disposal, Food Waste in USA, food waste management, Food Waste Management in USA, Food Waste Recycling, Food Waste Statistics, Hotel Waste, MSW, Restaurant Wastes, UK, United States. Bookmark the permalink. In Ontario, Canada, many municipalities, including Halton Region, provide residents with curbside collection of food scraps and compostable papers (like paper towels). Most municipalities utilize aerobic decomposition techniques; a few use anaerobic decomposition. To encourage residents to compost, their GreenCarts (compost bin) is collected once a week, while their garbage is collected once every other week. Very well written and informative. Thanks for sharing! 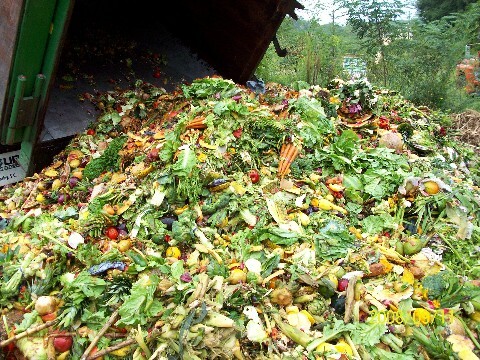 Consider this: each ton of food waste is worth about $500 – 750 depending on the industry. That’s $100,000 a month that a large food manufacturer or a large food processor is throwing away. Clearly, any company that shows an interest in sustainability can do a lot toward building consumer loyalty as well as save itself a considerable amount of money.